Epcot introduced the world to a lot of new technology when it opened almost thirty years ago, but it’s also responsible for creating one of the most iconic theme park characters, beloved by Disney fans: Dreamfinder. 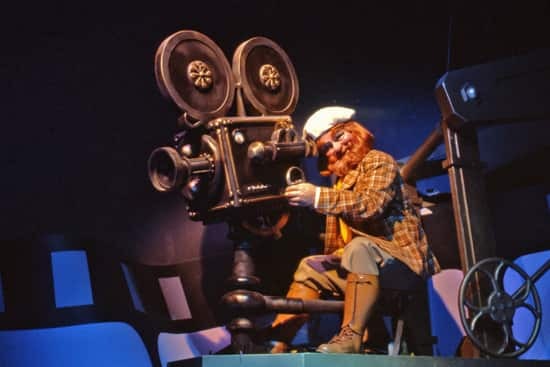 With his top hat, beard and loveable sidekick Figment, Dreamfinder encouraged children of all ages to use their imagination in the original Journey Into Imagination attraction. The kind, wise spirit of imagination, Dreamfinder always knew it only took one little spark to kick everyone’s imagination into high gear. Epcot Photo Flashback: Kitchen Kabaret Cooks! I agree, Journey into Imagination was my families favorite attraction. We visit often and my son said what happened to the original ride. Disney should bring back the original ride PLEASE! Journey to imagination was the best. Figment became my husbands favorite character from the first time he saw it. I wish it would come back. This summer we had our neice and nephew with us and told them all about the original. The original Journey into Imagination was my favorite Disney attraction since I first saw Figment & the Dreamfinder back when I was just 6-years-old during my first visit to Walt Disney World back in 1984. I didn’t get to make another visit until 1997 and seeing it again was an extremely magical moment where this then 19-year-old felt like a little kid again. The current version is nice but it simply cannot replace the original in the hearts & minds of Epcot visitors who had the great fortune to know the original. I so wish that the original attraction, with the Dreamfinder included, could return. Figment is my favorite but he isn’t the quite the same without the Dreamfinder. Recent cameo appearances of Dreamfinder have gotten my hopes up from time to time and it would be awesome if he were to reside again in Epcot beyond our collective memories! One of the highlights of the D23 event in the spring of 2011 for the 40TH anniversary of Walt Disney World was a concert by Richard Sherman. The one song that had everyone on their feet was when Dreamfinder and Figment made a live appearance and sang “One Little Spark” along with Richard as well as everyone in the hall. Thank you so much for this post. I remember Dreamfinder so well. I just wish my daughter could have seen him. I really wish they would bring back the original version of this ride. The newer version just doesn’t bring across how important it is to have and use your imagination. I was chatting with my wife about the 30th anniversary. She disappeared for almost five minutes and returned with a slightly dogeared copy of the brochure handed out originally upon entrance to the park. The original artwork was wonderful. Having never visited as a child, It is nice to have seen what was and be able to appreciate what is. I would say that I would have loved to have seen the original living seas. Figment and the Dreamfinder are at the center my most vivid Disney memories as a child growing up in Florida. The most iconic childhood Disney picture is that of The Dreamfinder and Figment playing with my brother and I. The Dreamfinder and Figment will alway be partners in my mind and although I love the the nod to Dean Finder in the current version, I miss the original that evoked childhood joy in friendship, fun, imagination and science! Thank you for dedicating a post to the Dreamfinder, I can’t wait to be part of the 30th Anniversary! Thank you SO much for posting this! The Imagination pavillion (in its former glory) housed my very favorite things in all of WDW as a little girl and teen. I still enjoy the latest ride version (esp. the “Dean Finder” door& the grand finale!) and so do my kids, but I was just showing my 11yo the stairs and elevator this past summer and telling her about how incredible the whole pavillion used to be. I would do anything to see it again or an updated 21stC version… well, as long as it still has that rainbow tube& meet n’greet!) Calling all IMAGINEars!!! This is YOUR place to shine! Show us what you can do with this gem! I was an EPCOT Cast Member in the summer of 1989 (when I was an infant – kidding, while I was in college) and worked at the Journey Into Imagination pavilion (with the original ride, Dream Works and Captain EO). I rode that ride every night at closing and loved it every time. I do wish it would come back in its original incarnation! Thanks for the great post! It brought back a lot of memories for me. I miss Dreamfinder and the original Journey into Imagination. Thank you so much for these pictures. I echo the prior posts. My fondest childhood memories for all of Epcot were with the original Dreamfinder version. I wish my daughter could see it. Will it help if we all get misty-eyed at once and make a wish? It is so great to see these vintage pictures! I miss this attraction so much – it was my first love at WDW. I agree with those posting before myself that the original version was wonderful. I am thankful for Figment’s continued presence but I greatly miss Dreamfinder. I also love the theme “One Little Spark” and cannot resist singing it every time I pass the pavilion or when I see Figment! The original Journey Into Imagination was my favorite ride as a child. I loved Figment and chose those souvenirs over anything else in the parks. I sing the song all the time! 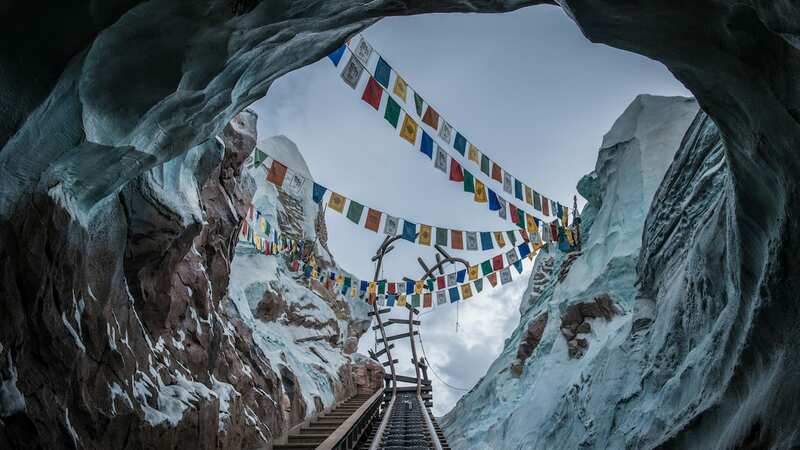 We go to Disney yearly, and I always get a little tearful missing the original attraction and knowing that my future children will not have the same experience. Thanks for this post! I’m hoping for a Dreamfinder and Figment appearance at the Epcot 30th celebration on October 1st. A meet and greet with Dreamfinder and Figment would be even better. Any chance of this happening? Jumping in too – would love Dreamfinder and Figment meet and greet, maybe with a short science or art demonstration. Of course, I’d also be delighted to see the original Journey into Imagination restored. Let me just add my voice to the chorus of people hoping for the Dreamfinder’s return. He’s a wonderful character, and for those of us who were kids during his years at EPCOT he’s as much a part of our fond childhood memories as Mickey, Minnie, or Donald. Hopefully he’ll one day be able to continue providing fond memories to today’s young EPCOT visitors. Figment is a great character, but he needs Dreamfinder. The original attraction was Imagineers at their best. Journey Into Imagination left the biggest imprint in my heart as a little girl. I was completely enamored with the entire attraction, from the beautiful Dream Catcher (wow, are we moving at the same speed?) to the grand finale with Figment lifting weights and climbing a snowy mountain. Although I wince when I walk by the pavilion now in its current state, I always smile (with tears in my eyes) remembering just how wonderful the original attraction truly was. Thanks for dedicating a post to Dream Finder! It also should be noted that recently re-introduced, Ron Schneider actually voiced one of the cuplets in the Science room, “Skyrockets soar through outer space, Imagine Yourself in an Infinite Place”. 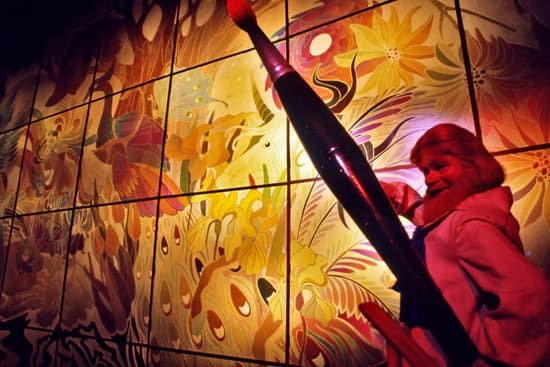 Ron was best known for entertainment rolls throughout the theme park industry, but he was the original Dreamfinder face character in the parks. Our family really liked the original version best. Most of the time the Dreamfinder and Figment were outside greeting guest. Really miss the upper level and wish it would reopen. It was a great way to spend extra time in the pavilion but now you just ride the ride and leave. While change is good some classic elements should remain. Figment is a classic and it is a must ride for our family. Thank you for the flashback! I just want to echo what’s already been said. WDW friends, you must surely realize how much the original ride and the Dreamfinder are still loved and missed. If the unique carousel system in the original ride has proven to be unsustainable… that’s okay. But I for one miss the feel of the original ride, the celebration of the products of human imagination, and the presence of the Dreamfinder. I hope these things will return someday. Nothing would appease Disney fans more than a return of Dreamfinder and the classic Figment in a brand new LPS attraction in the Imagination Pavilion. I still miss the original version. I like the Eric Idle version, but it does not compare to the original. But it is a vast improvement over the second version which removed my beloved Figment. I’m so glad my daughter can experience the ride and Figment. She adores the plush Figment I got in 1996 on my honeymoon. I have photos with the Dreamfinder & Figment when they were out together for meet and greets. A fourth incarnation of this ride with the return of Dreamfinder and the Rainbow Tunnel would be the best Epcot 30 gift we could ever ask for. Weird but true: my first Disney Parks souvenir was a Figment sweatshirt…no Mickey in sight. The original version of this attraction was one of the most iconic attractions Disney has ever created. I’d rank it right up with Haunted Mansion and Pirates of the Caribbean, and think it would have similarly stood the test of time were it still around. I’m still holding out hope that Journey into Imagination will be restored to its former glory! The first version of this ride was the BEST and I miss it so… It was such fun going through all the different “scenes” (my favorite was the all white room) and then seeing Dreamfinder and Figment outside doing a Meet & Greet!!!!! THANK YOU!! My absolute favorite (and most missed) ride in all of WDW. I love Figment and the Dreamfinder! I would love to see the original attraction come back, along with a meet & greet with Figment! I’m in agreement with everyone else; loved the original attraction and really enjoyed Dreamfinder. While the current ride is fun, I really miss the original and wish Disney would bring it back. I still have my pewter Figment I got when the ride first opened. He watches over me as I dream! Thanks for sharing and bringing back the memories!! The Dreamfinder will always hold a place in my heart. 🙂 Thanks for the memories! Loved the original, still enjoy today’s, especially now that Figment is featured, but nothing will ever beat how beautiful that attraction was! I am holding out that someday the Figment Meet and Greet will return! Figment was my daughter’s favorite character when she was a child. Brings back many memories of our trips to Walt Disney World. I miss the original ride!! I went yearly from 1982-2000 then recently started going yearly again in 2011 now that i have children. The 2nd version was not a favorite at all. Atleast the latest version of the ride is ok. I used to love coming out of the ride and Dreamfinder and Figment were there for pictures!!! My husband still has his 80’s stuffed Figment from when he visited Epcot as a kid, I have one from the 90’s and a tiny Figment watches over my orange car (which he matches) while I drive. Thanks so much for sharing this!! It brings back so many good memories!! Love the photos! I also enjoy Eric Idle and the current attraction but I don’t think it quite measures up to the original! i vote he comes back to to the attraction, not that i don’t love Eric Idle. 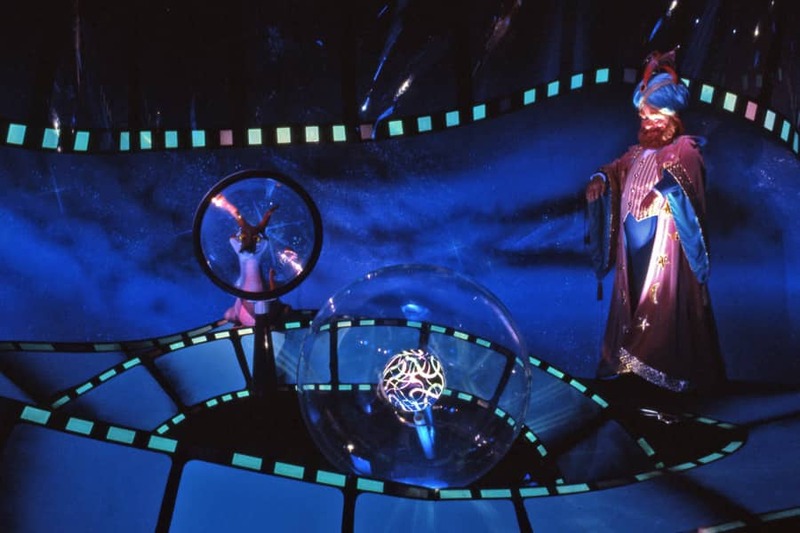 I Loved the original Journey into Imagination ride with the Dreamfinder! I wish this version would come back! Thanks for sharing your Vintage Epcot posts!